Unique Landscaping has 20 years experience crafting ideal outdoor getaways using concrete patios and more. 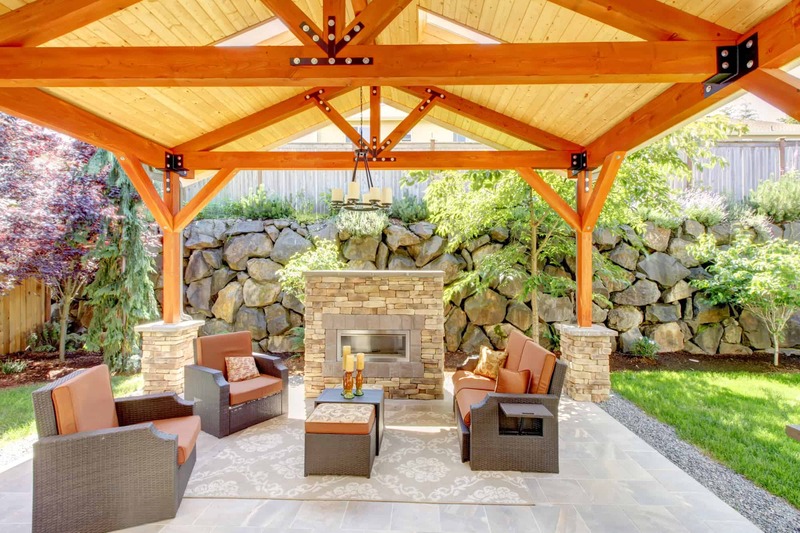 Create your own relaxation oasis in the convenience of your own backyard. Enjoy your own relaxation oasis in the comfort of your own backyard. 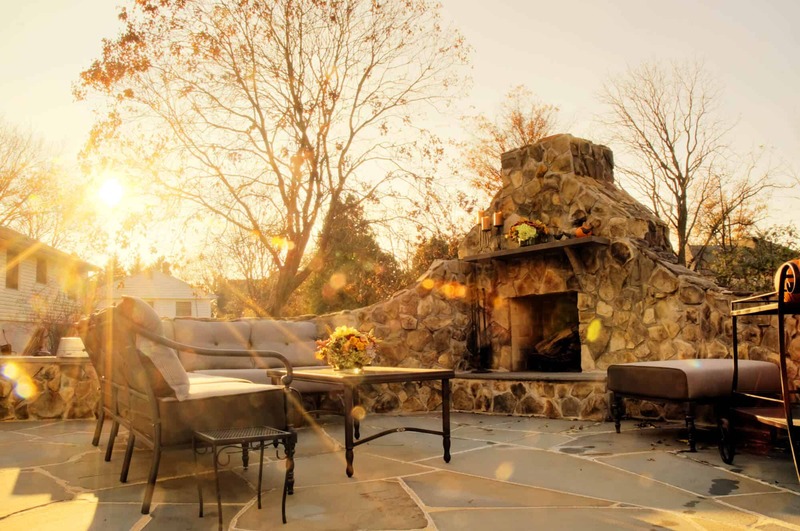 One of the most essential elements in the backyard of a luxury home is a concrete patio. While there is stiff competition by wood decks, concrete has risen to the number one slot for most popular patio material in the country according to a survey conducted by the National Association of Home Builders. 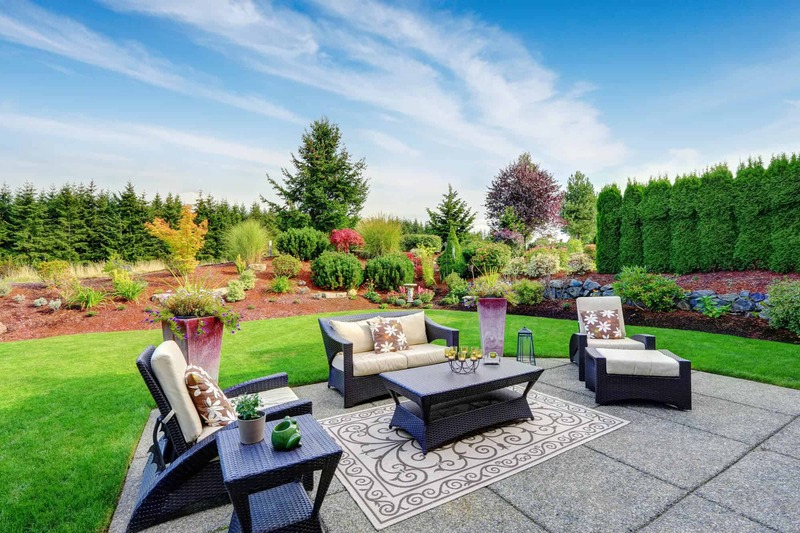 When it comes to luxury homes poured concrete is the most commonly used outdoor surface material – even more popular than concrete pavers and natural stone. With ever-increasing decorative options, it’s easy to understand why homeowners are being attracted to this outdoor surface that offers so much freedom of artistic expression and versatility. Their low-maintenance and durability also makes them an attractive option. Concrete patios are excellent for providing a gathering place while hosting your friends and family and make it easy to blend interior and outdoor living spaces. 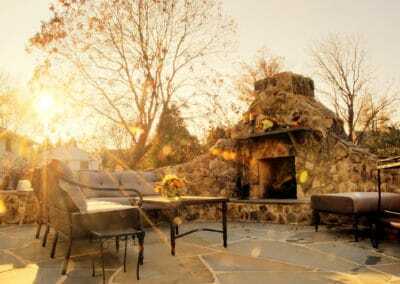 If you are planning on an outdoor kitchen or living room and need a fireplace, water features, and cozy sitting area all while keeping a trendy and decorative look then a concrete patio is the choice for you! Due to the now artistic element of decorative concrete, there is no shortage of design options. 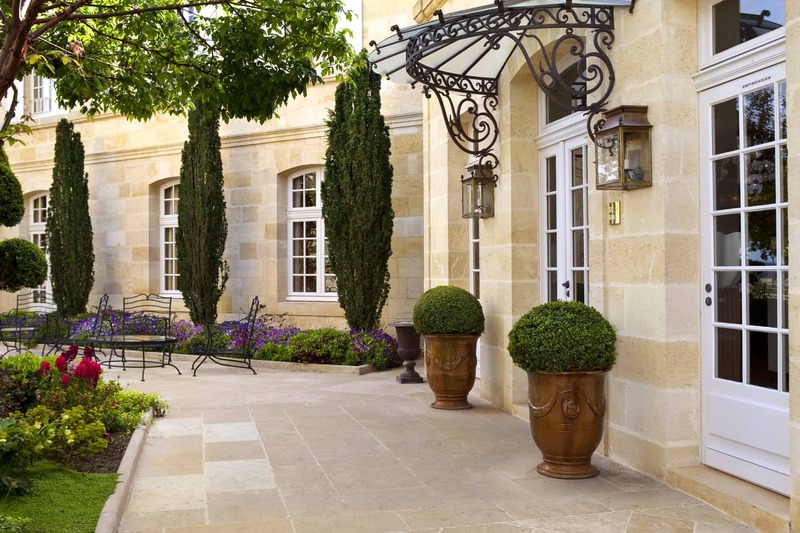 Stains and colors can be used to match a home’s exterior or landscape, and they can even be stamped or engraved with patterns to create the look of other popular paving materials like brick, flagstone, slate, or tile. Another benefit of concrete patios is that they are usually less expensive than patios made of brick or stone because they are easier to install. This affordable pricing combined with the plethora of design options makes it the obvious choice for all budgets. Not to mention its flexibility to accommodate any kind of space restriction. Adding a concrete patio to your backyard is an addition that will not only add value but also many years of enjoyment while greatly improving your landscape. Plus, concrete is very easy to maintain and is one of the most resilient of outdoor materials. Also with concrete, you won’t have to worry about cracks, crevices and joints between units that allow weeds and grass to sprout. Those who opt for a wood deck have to worry about warp, rot, and periodic staining – something that concrete patio owner never have to concern themselves with. Give us a call today if you have any questions and we’d be happy to share our suggestions and walk you through the process of installing a concrete patio!